The Nour Short Film Night was a showcase of young Middle Eastern and North African film talent, offering eight short films screened in the resplendent Leighton House Museum. A treat for both enthusiasts of Middle Eastern film and those encountering the cinema of the region for the first time, these shorts have all been released in the last two years and are fresh off the festival circuits, with many prizes to their names. Speaking to the Nour Short Film Night curator, Yasmin El Derby, the desire for inclusivity was raised as a central theme in her selection process, trying to incorporate “as wide a range as possible of film genres and of countries of origins.” In this, the Short Film Night is very successful: genres range from documentaries and docu-dramas, a satirical comedy and a horror film, to more experimental art films. 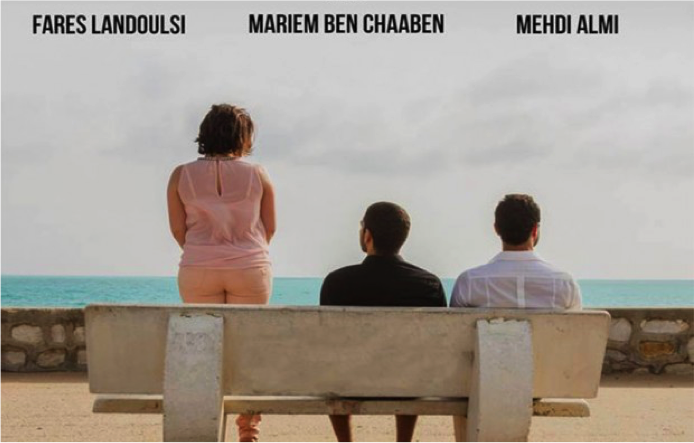 The directors are indeed equally diverse, hailing from Jordan, Egypt, France, Libya, South Africa, Tunisia, Lebanon and the UK, and many of them representing the Middle Eastern art diaspora. The issues that each film deals with are also incredibly broad but when one looks a little closer it’s possible to see that each is in dialogue with another. For example, My Dreams in Granada (2015) poetically documents the struggle of a Libyan artist working in Granada, Spain, and speaks directly to both Coffee (2014), a simple but powerful artistic short that looks at how belonging to two different cultures influences the visual style and cultural views of a storyteller, and Facing the Sea (2014), about a Tunisian artist who is secretly hiding his sexuality from his sister and worrying about his position in society. 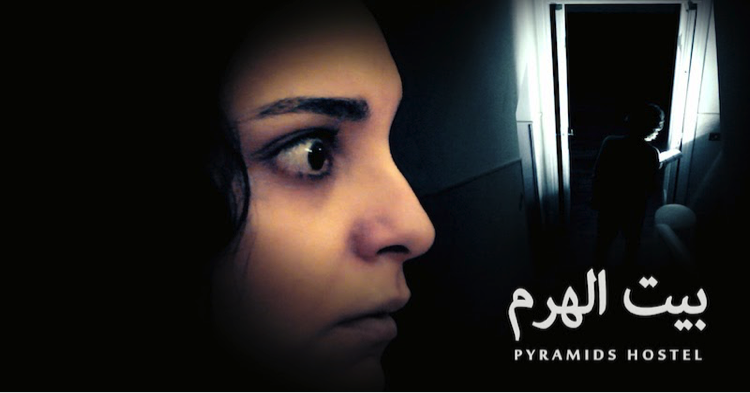 Pyramids Hostel (2015) has issues of conflicting post-revolution sentiments in Egypt lightly woven into its script, whilst documentary The Runner (2014) faces the issue head on. The standout film is undoubtedly Hotel Zaatari (2014), a docu-drama that captures the lives of four Syrian refugees – two adults and two children – living in the Zaatari camp in Jordan. The deep voiced, winding narrative that overlays haunting images of everyday life in the camp, sounds almost like poetry and adds to the feeling of aimlessness that is depicted in the film. The main soundtrack to the piece is the whistling desert wind, which only adds to the feeling of desolation and hopelessness visually portrayed – as the film states it is a story “with no beginning and no end”. The run of films is certainly a journey. 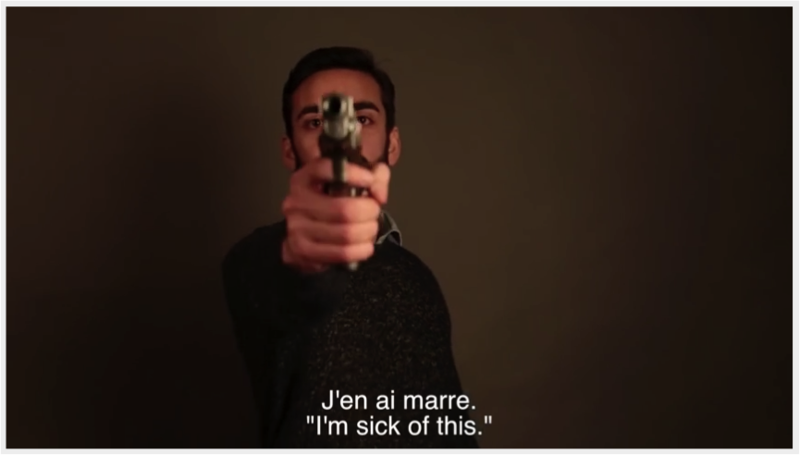 In fact it’s almost cyclical, with the first film, A Cold Morning in November (2014), opening with a mournful wake and the last, Ceci n’est pas une menace (This is Not a Threat) (2015), ending with a gun pointed directly at the camera. Ultimately, through the framework and lense of the Middle Eastern region, all of the films dealing with issues of life and it’s fragility, it’s legacy and it’s diversity.